Hörmann HSD 2-A BS hand transmitter 2-channel 868 MHz BiSecur. Hörmann 2-channel remote transmitter HSD 2-A 868MHz BiSecur. Frequency: 868 Mhz. 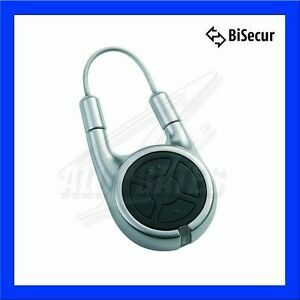 Aluminium look, 2 button functions, can also be used as a key ring.